Likes: Very fast track. 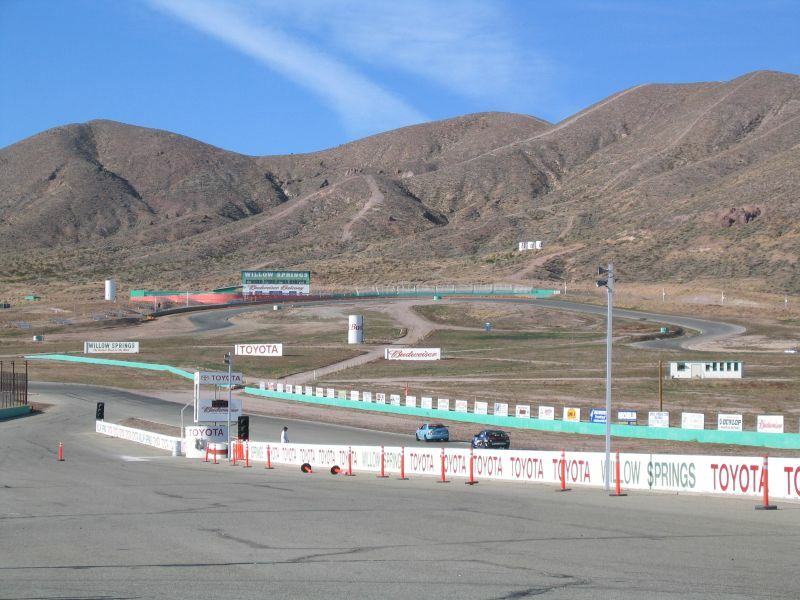 Triple digit speeds in turn 8 and the long straights. Long 2.5 mi. track, you can drive without seeing another car. Easy on the brakes. 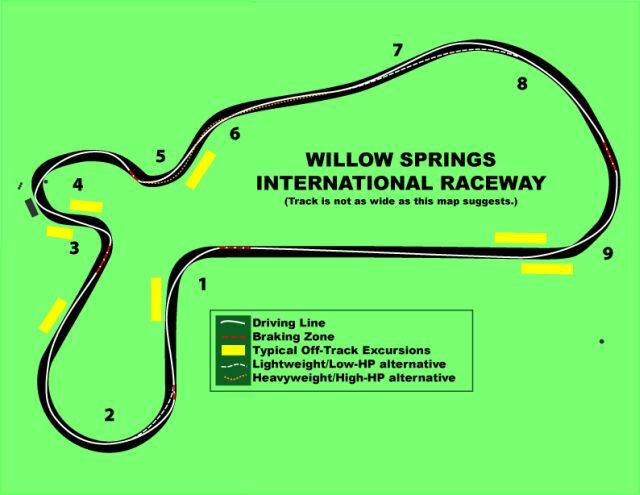 Willow Springs International Raceway (Big Willow or WSIR) is a high speed track with long sweeping turns. This track is only used in a clockwise direction in one configuration. The track is 2.5 miles long. There are nine turns at WSIR. Highlights are “The Omega” and turn 8. “The Omega” is called this because it resembles the Greek letter omega when viewed from a distance. One can carry triple digit speeds in turn 8. There is a lot of run off space available for off road excursions. The hardest braking occurs before turn 1, after the long front straight, and before turn 3. There are gas stations and fast food restaurants 5 miles from the track, right off the freeway exit. There is a onsite tire shop and gas station with race fuel. The gas station on track accepts credit cards at a self pay terminal. For lodging, the event organizer may have arranged discounts with the local hotels/motels. pit complex and stuff.. .